Golf legend Ben Hogan once said, “The most important shot in golf is the next one.” While many of us could only hope to swing the clubs like The Hawk, it doesn’t stop us from enjoying a round or two at the area’s top courses. 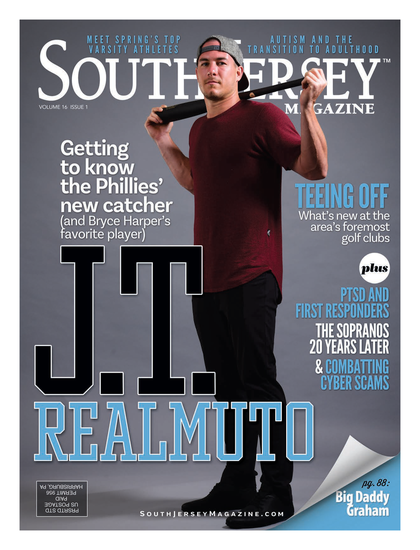 So, now that the spring weather is upon us and avid golfers are eagerly scheduling their tee times, we hit up the very best golf clubs from the tri-county region all the way down the Shore to find out what exciting changes are taking place. 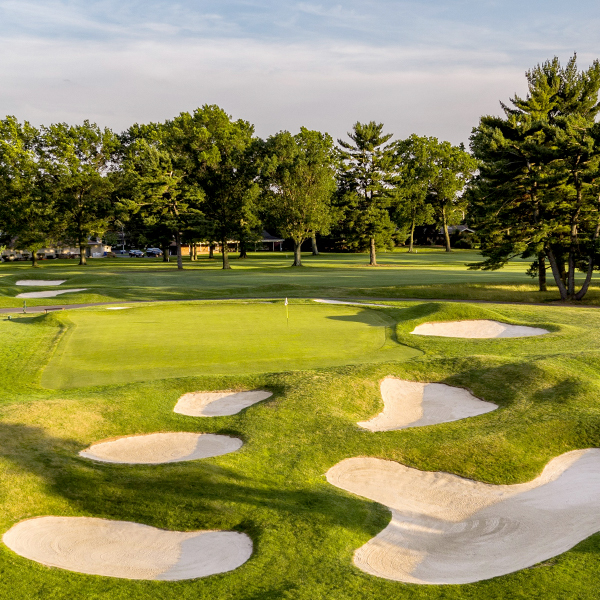 What’s New: The first phase of a three-year course renovation program began this offseason, including the removal of nearly 40 trees, extensive drainage work and the rebuilding of several tee complexes. The club also recently introduced a new chef. Special Rates: The club’s house membership affords full social and dining privileges while also including limited rounds of golf at a reduced guest rate. kids at the pool complex. Unique Offerings: The Kid’s Corner youth program offers complimentary babysitting for parents while they dine at the club on Saturday evenings. What’s New: Mark McCartney has become the club’s director of golf. A new practice facility and a new junior practice area are also being unveiled. Special Rates: Little Mill’s intermediate memberships offer those ages 18 to 39 the ability to be a full member at a discounted price, and for those not wishing to make a full commitment, the house membership offers 15 rounds of golf for the year. What’s New: The pro shop has undergone a transformation and expanded its selection. On May 9, the USGA U.S. Open local qualifier will be held at Medford Village, featuring 120 players vying for a spot in the sectional qualifier with hopes of making it to the big tournament at Pebble Beach in June. For the Kids: Weekly youth camps are offered for golf, tennis and swimming. What’s New: Donna Surrette is the new director of membership and marketing, Drew White is the new grounds superintendent and Elsa Tchourumoff is the new tennis professional. For the Kids: For children ages 5 through 12, Camp Riverton is a four-week program that coordinates golf, tennis, swimming, arts and crafts, group games and more. What’s New: For the first time, Deerwood is offering golfers the chance to schedule tee times online on its newly redesigned website. Additionally, the club removed 500 trees this winter to return the course to its original design. What’s New: Aside from having a newly expanded bar area, Scotland Run has also welcomed a new chef and menu to its restaurant. For the Kids: The club offers several youth programs and areas of instruction, including its junior academy that sets out to create a Little League atmosphere for young golfers to compete in a friendly team environment. What’s New: Several new hires have taken place here, including naming Travis Lock as the new general manager, Leah Carney as the new food and beverage manager and Kyle Zayac as the director of golf. Family tees are new for 2019 and guests will be able to pre-order food and drink via text during their round. What’s New: Valleybrook recently announced the hires of Barry Dear as director of golf and Tony Martino as food and beverage manager. What’s New: New personnel at Woodcrest include Jason Howard as the director of golf, Steve Sieracki as the director of instruction, Gary Mackay as lead assistant professional and Wade Sander as seasonal assistant professional. The pro shop is now offering more equipment and apparel options after undergoing a bit of a renovation and the new indoor golf studio Trackman 4 has debuted. For the Kids: A weekly junior golf and pool summer camp will return in June and new for this year will be the Operation 36 Junior Golf program on Tuesdays and Thursdays. What’s New: Club 1897 is the new indoor golf facility with three full swing simulators that provide 84 different courses to play. Club 1897 also offers food and drink service as well as private party options. This season will also see a new happy hour menu from 3:30 til 6 p.m., Monday through Friday. For the Kids: Kids ages 7 through 13 can attend summer camp every Tuesday throughout the summer starting on June 18 for $40. The camp focuses on instruction, etiquette and on-course playing. What’s New: New this season, Ballamor is offering a single course membership for the golfer who primarily plays here and not at its sister courses Scotland Run and Atlantic City Country Club. Another new perk is no cart fees for new and existing members at Ballamor and Scotland Run. What’s New: The club recently introduced Jason Wiegand as its director of golf. For the Kids: As part of Ron Jaworski Golf, Blue Heron Pines has teamed up with the Youth on Course junior golf initiative, which offers young players the opportunity to play any of his courses for just $5 during select dates and times in addition to other benefits and special access. What’s New: New golf carts with USB ports allow golfers to charge their electronic device while keeping score electronically on the club’s mobile app. Friday Night Live offers new weekly entertainment and dining specials including $5 drinks and appetizers along with $20 prime rib dinners. Harbor Pines is also offering a new young executive membership this year for golfers age 21 to 39. What’s New: The club was recently purchased by Dormie Network, a growing national golf management firm with courses across the country. Liz Norton-Scanga is the new director of sales and marketing. Special Rates: A membership at Hidden Creek gains you access to every course under the Dormie umbrella. What’s New: Ryan Tretter is now the head of grounds at Linwood. The club is also introducing “buck-a-shuck Mondays,” where oysters are just $1 every Monday in June, July and August. Special Rates: A social membership is available for $100 and gives the member and their family access to all social events plus dining privileges for daily lunch, happy hour and dinner. What’s New: Trees have been removed to open up areas for better turf conditions and the amount of fescue has been reduced for playability. The clubhouse is now offering beer from Cape May Brewing Company. What’s New: Twisted Dune has expanded a couple of its forward tee boxes to accommodate the “Play it Forward” initiative sponsored by the PGA of America and USGA. The club has also added a new membership for 2019. For a rate of $999, the Down the Shore Membership allows golfers to enjoy the experience of being a full member from Memorial Day to Labor Day. What’s New: Renault has new owners,Vivamee Hospitality, and with the change comes some new faces including Henry Strawder who leads the greens maintenance department. Additionally, Paul Israel returns to the club as the new director of golf operations and Paul Drew is the new chef overseeing the restaurants and banquet facilities. Food and Drink: Sunday brunch and monthly prix-fixe dinners are coming back and new indoor and outdoor tasting areas will soon debut.